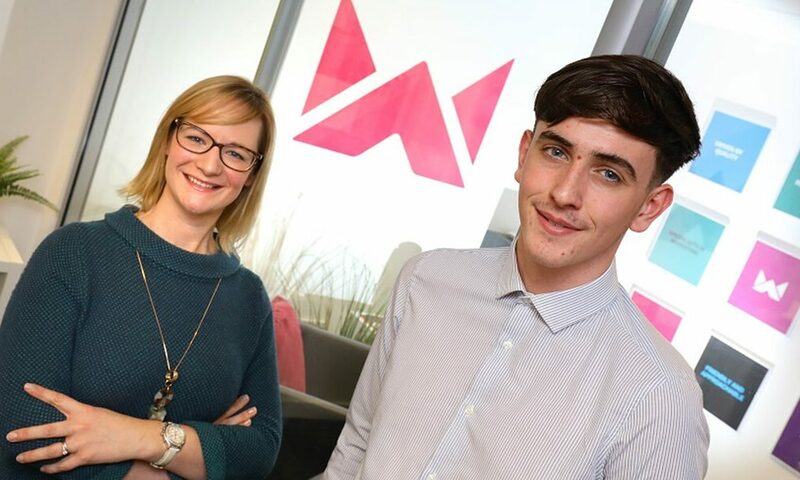 Newcastle-based marketing company Horizonworks has strengthened its operations team with the appointment of its first apprentice. Brad Rogers has joined the team as business and finance co-ordinator. Supporting the operations director, Brad will gain experience in commercial, finance and HR during his 18-month apprenticeship. He will also be working towards a BTEC Level 3 Diploma in Business Administration and a Level 2 AAT (Association of Accounting Technicians). A former Thorp Academy pupil, Brad completed A levels in sociology, religious studies and general studies, as well as a BTEC in sport. He applied for the apprenticeship through Rising Star, the sister brand of Zenith People, a recruitment business focused on helping young people find employment. Commenting on his new role, Brad Rogers said: “I felt that an apprenticeship was the best route, as the experience I will gain working in a business environment will be invaluable and provide with me with the skill set I need to further develop my career. Emma Parker, operations director at Horizonworks, added: “We are delighted to have Brad on board as our first apprentice. At Horizonworks, we nurture our talent, giving people the opportunity to be a part of our business, and develop and grow with us. Founded in 2010, Horizonworks specialises in business to business marketing for organisations working in manufacturing and engineering, healthcare and life sciences, technology and innovation, professional services and the public sector. Working with a wide range of regional, national and global organisations, Horizonworks offers the full spectrum of marketing services, including strategic marketing, public relations, design, brand development and digital marketing. Horizonworks has a diverse portfolio of clients including US based AmeriWater, a premier provider of water treatment equipment, ENEX Group, a mechanical engineering services provider, Cellular Solutions, a business communications and systems provider, The Expanded Metal Company, an expanded metal mesh manufacturer and Arcinova, a contract research and development company which serves the pharmaceutical sector, the North East Automotive Alliance (NEAA), the largest automotive cluster group in the UK and the Advanced Manufacturing Forum (AMF), the largest manufacturing forum in the North East.